Cloisonné intricate inlay and layers or enamel. 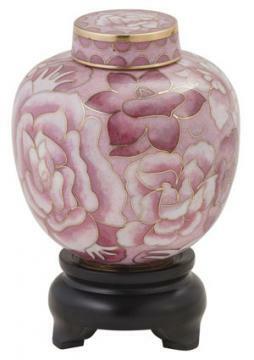 Created in vivid floral designs using the centuries-old craft of cloisonne. The solid brass memento is intricately filigreed with gold gilding, painted with beautiful enamel, fired and polished.